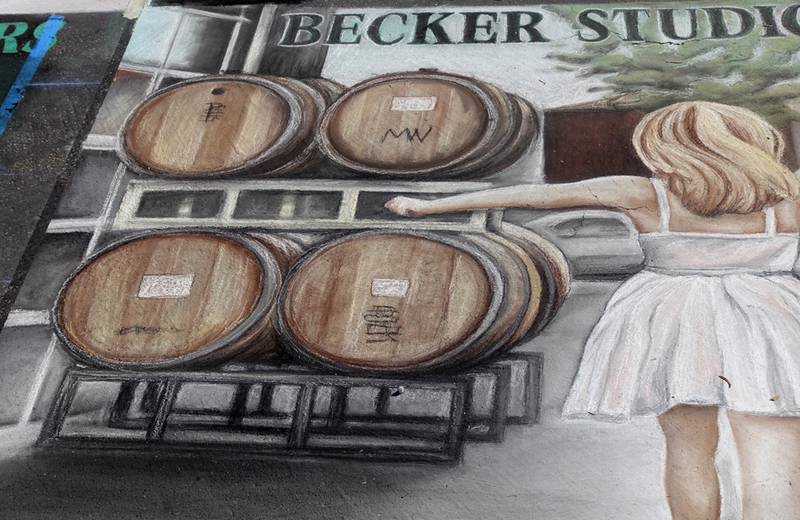 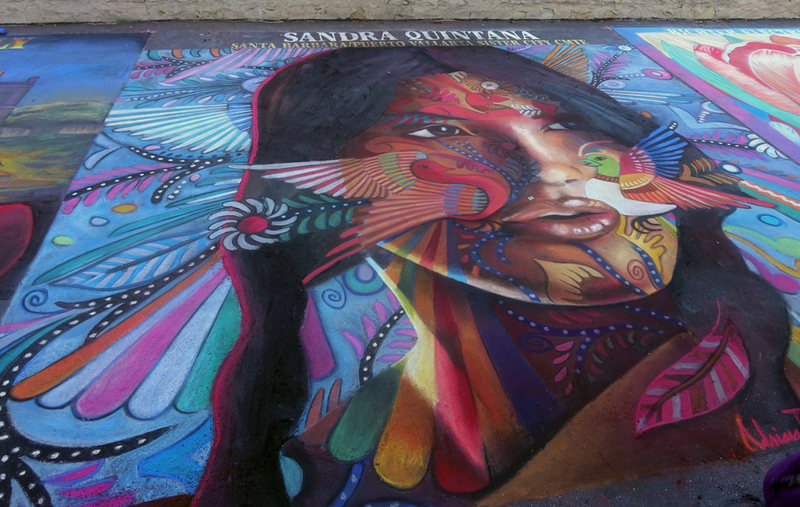 The 2017 featured artist at the base of the mission steps. 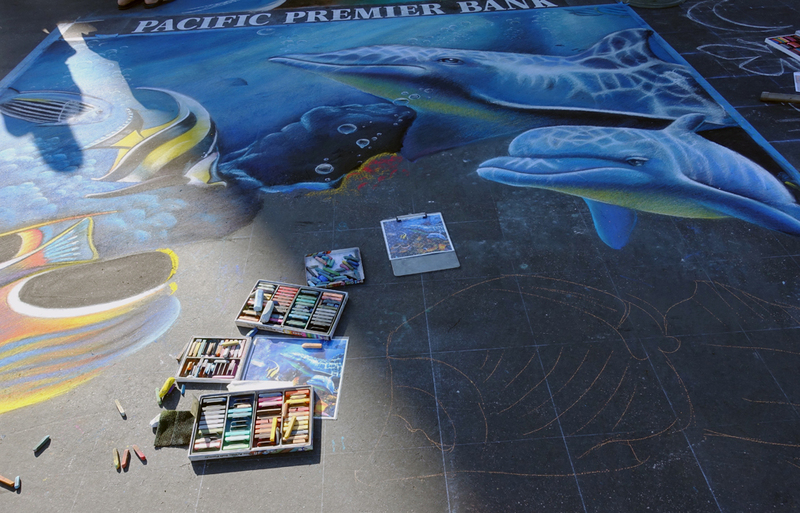 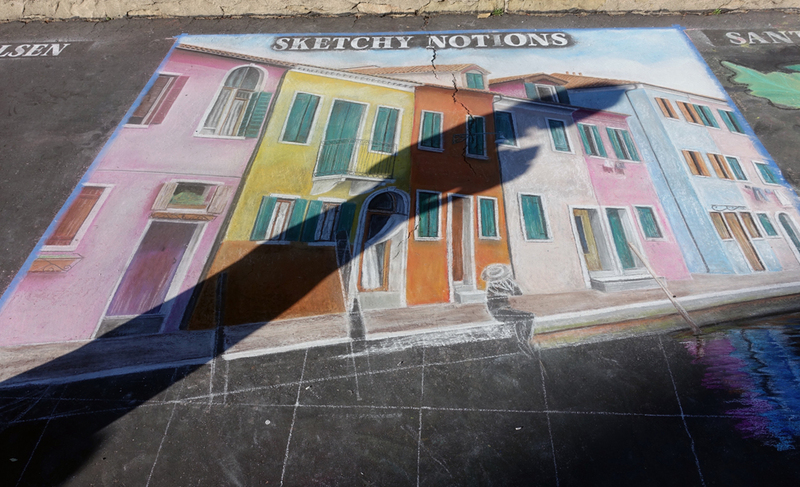 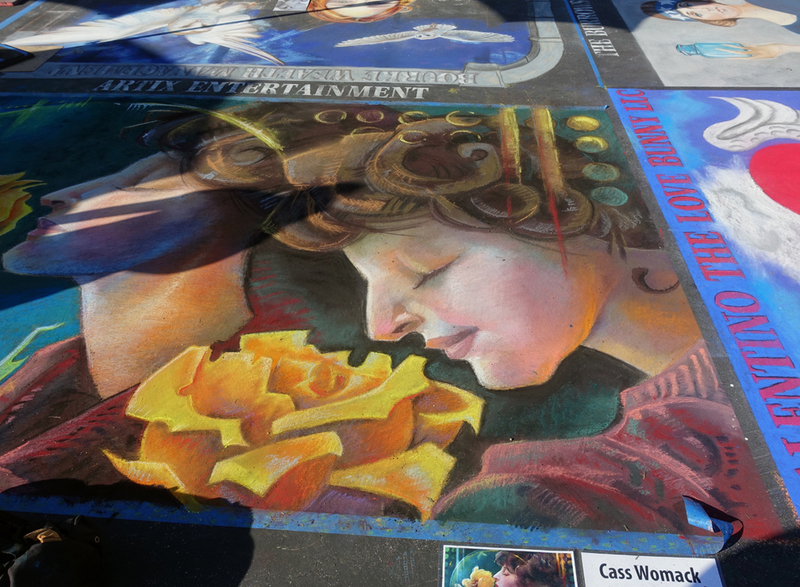 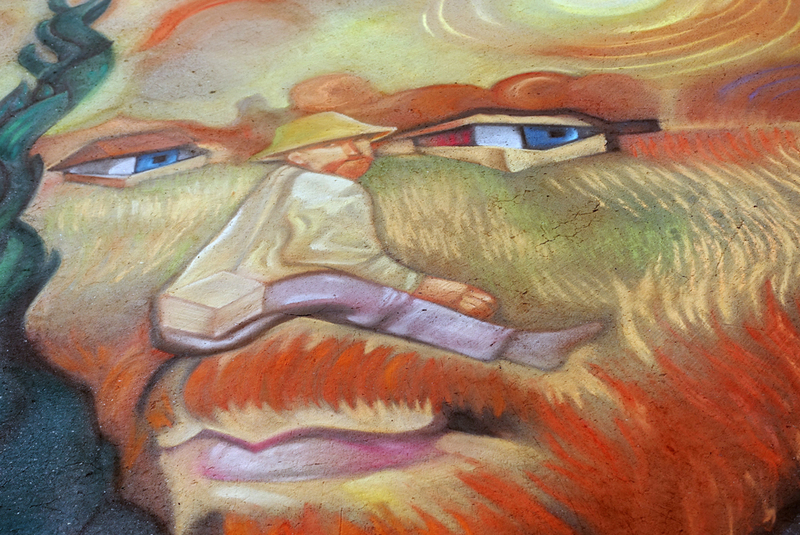 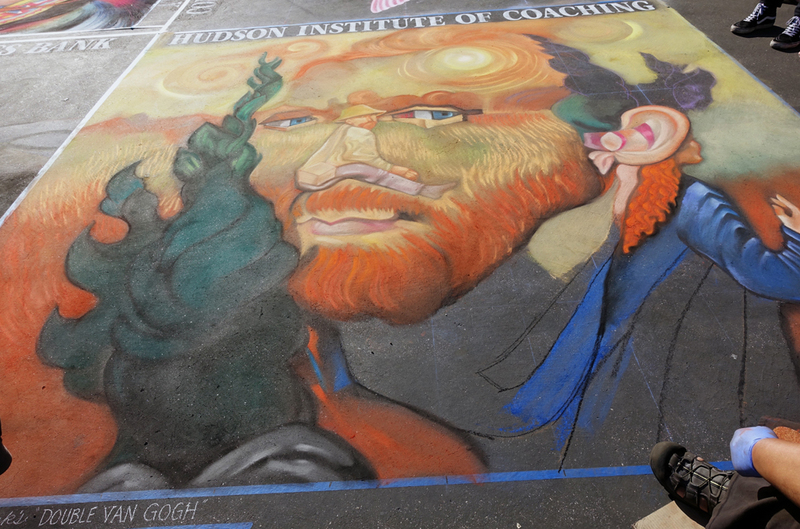 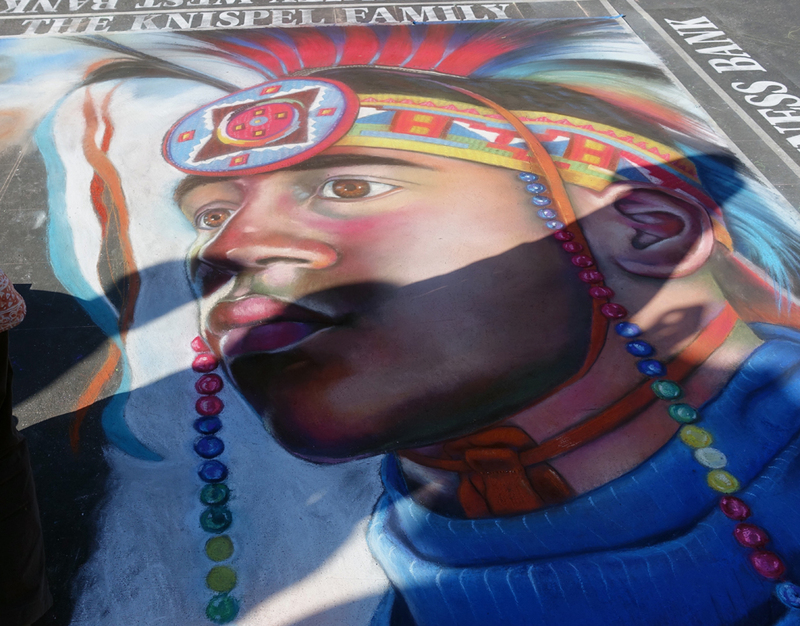 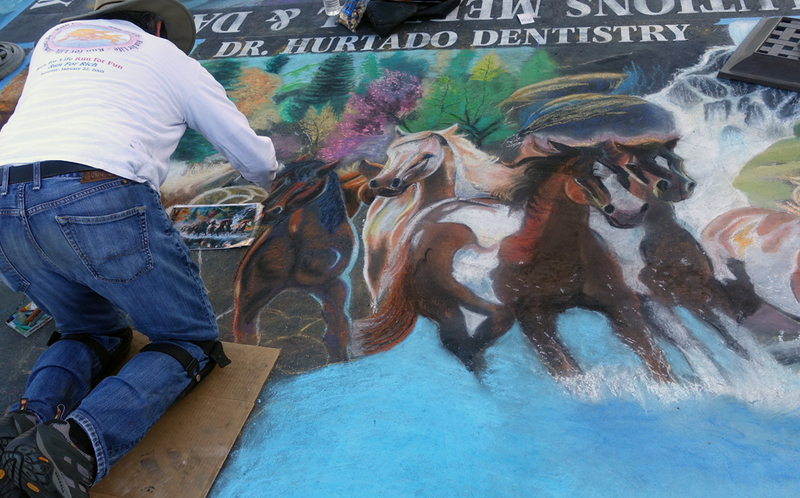 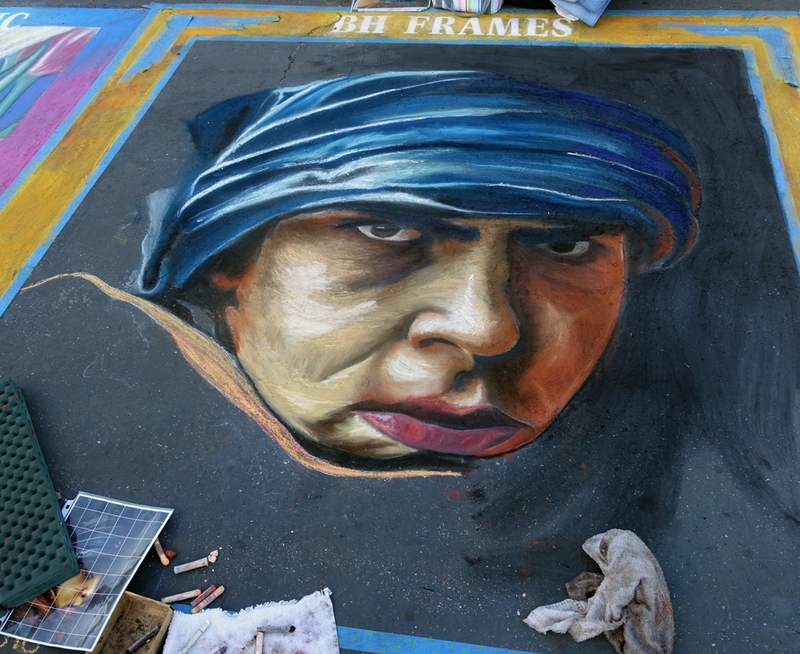 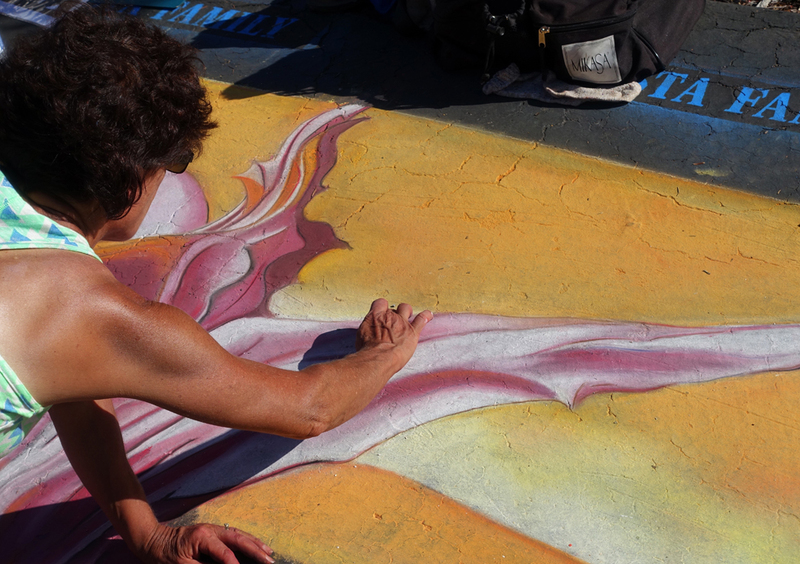 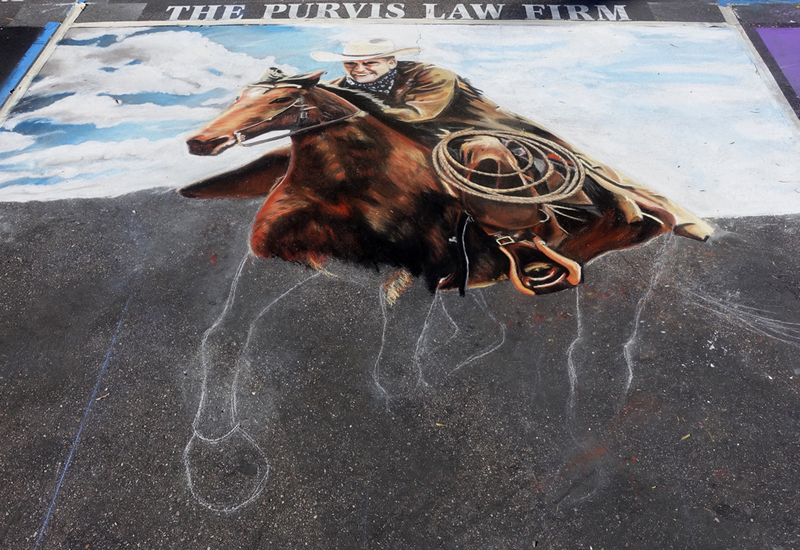 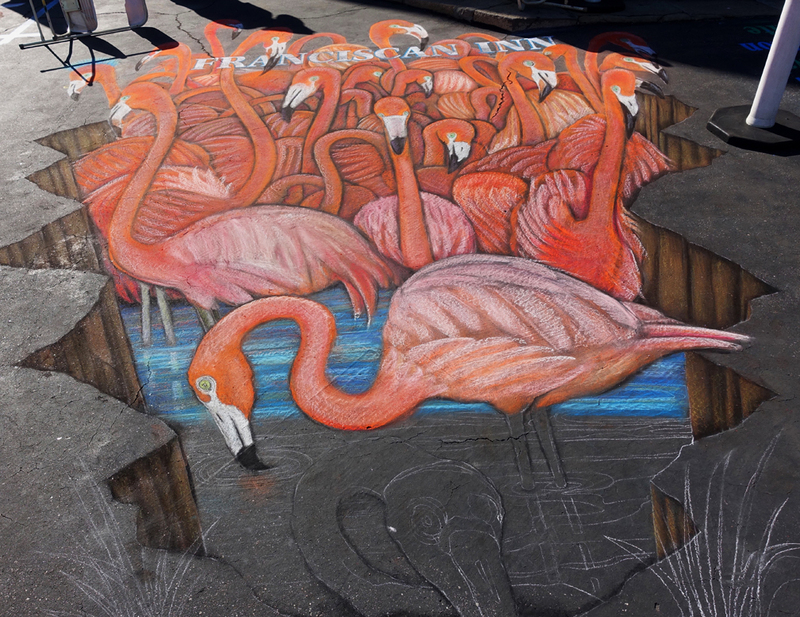 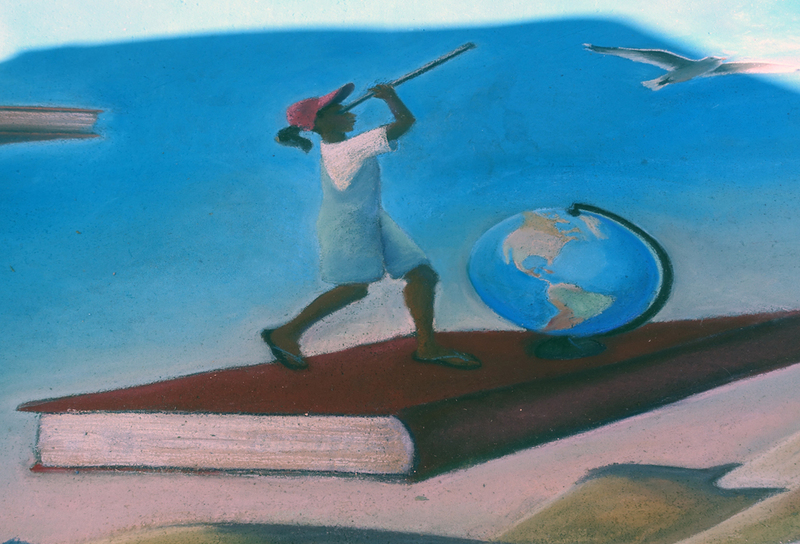 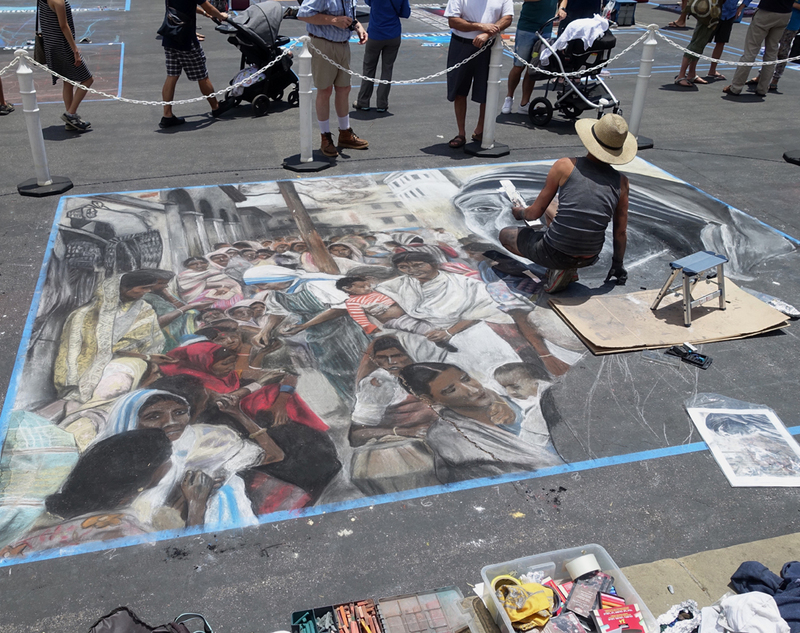 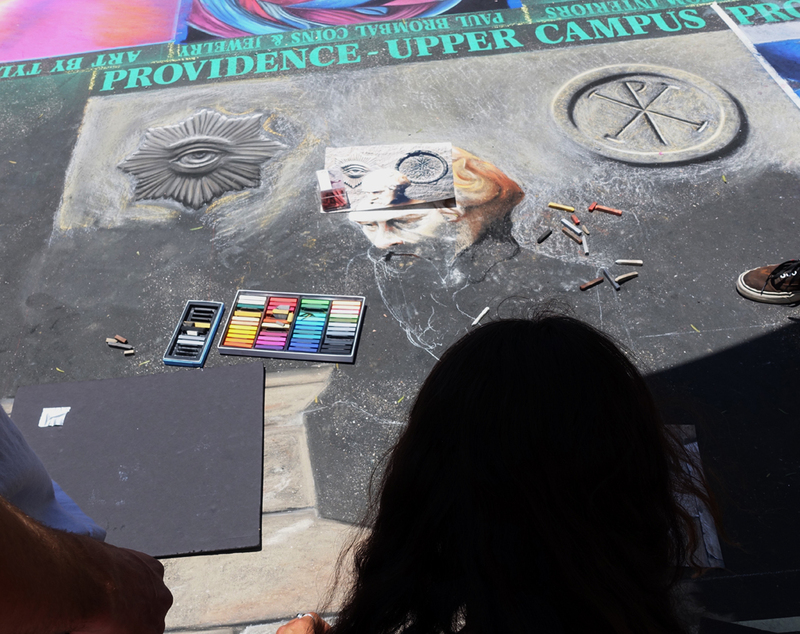 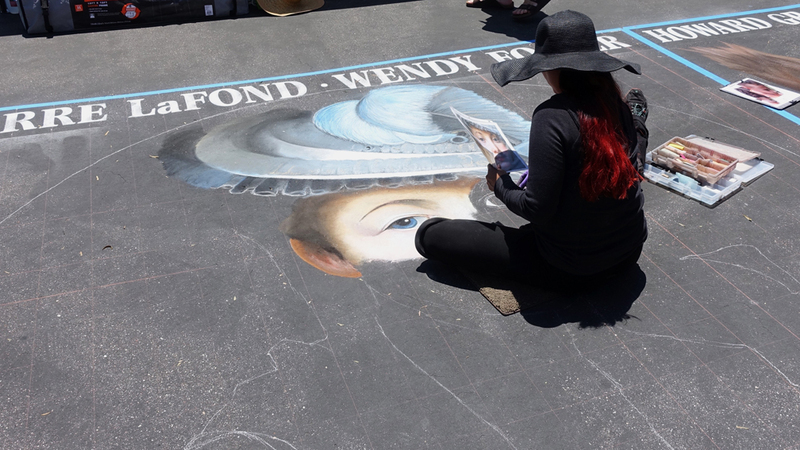 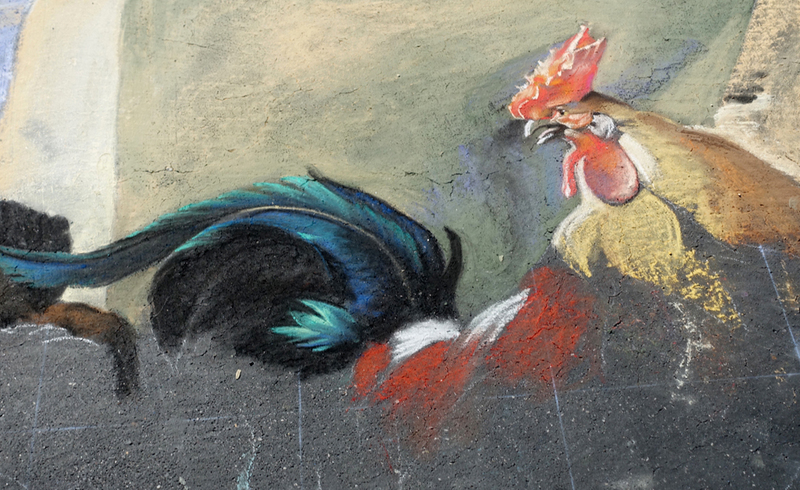 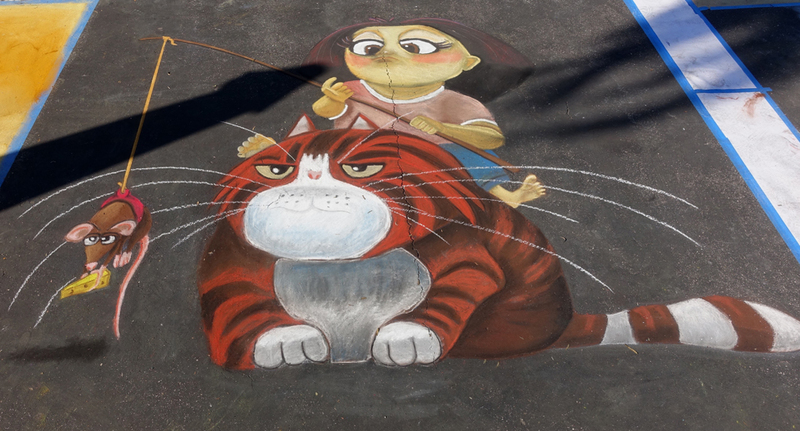 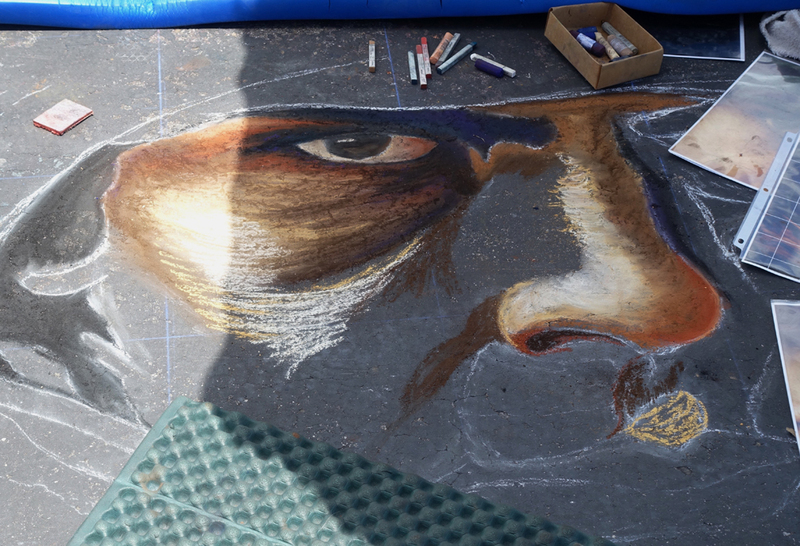 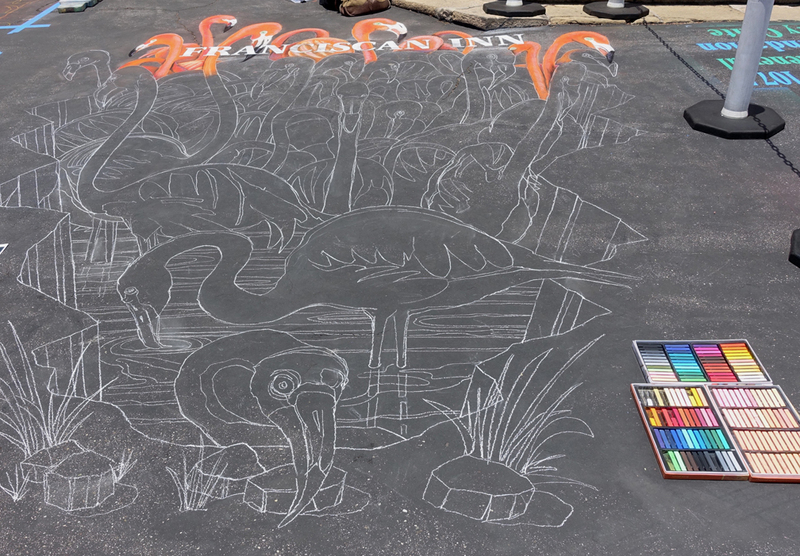 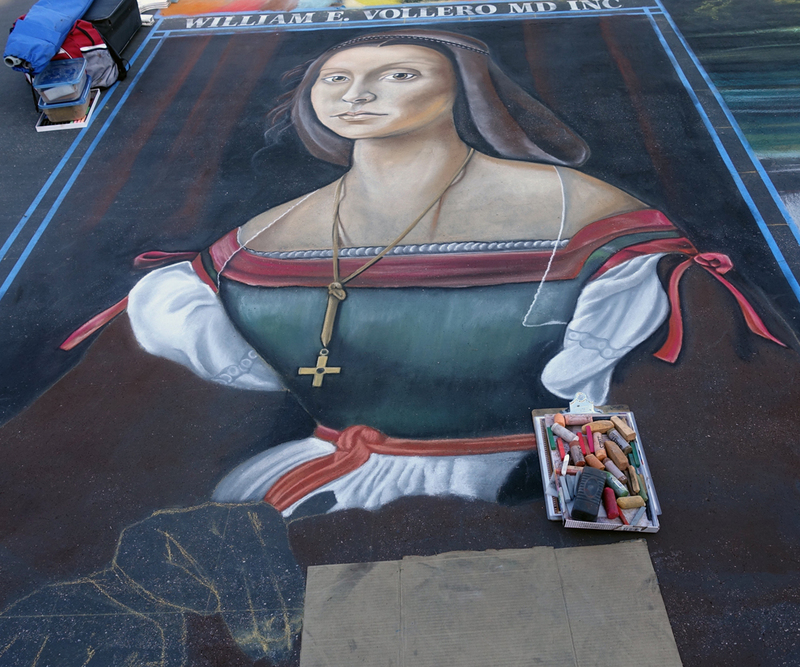 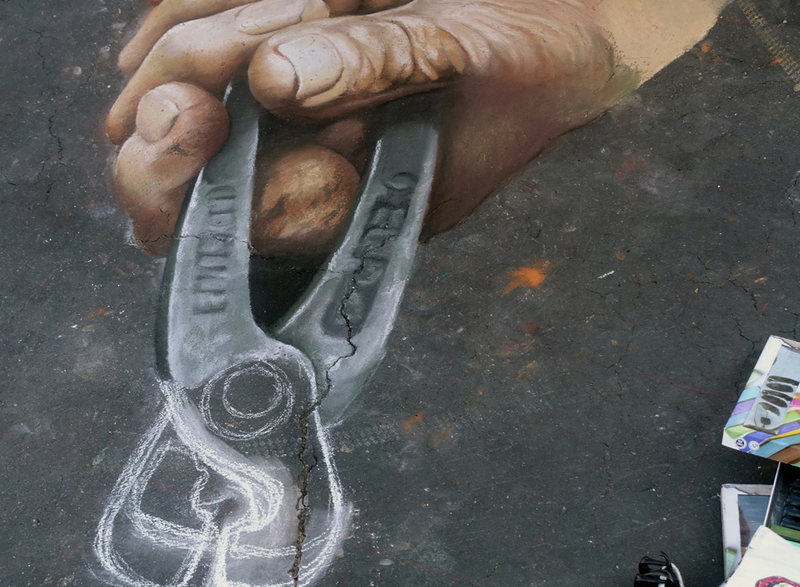 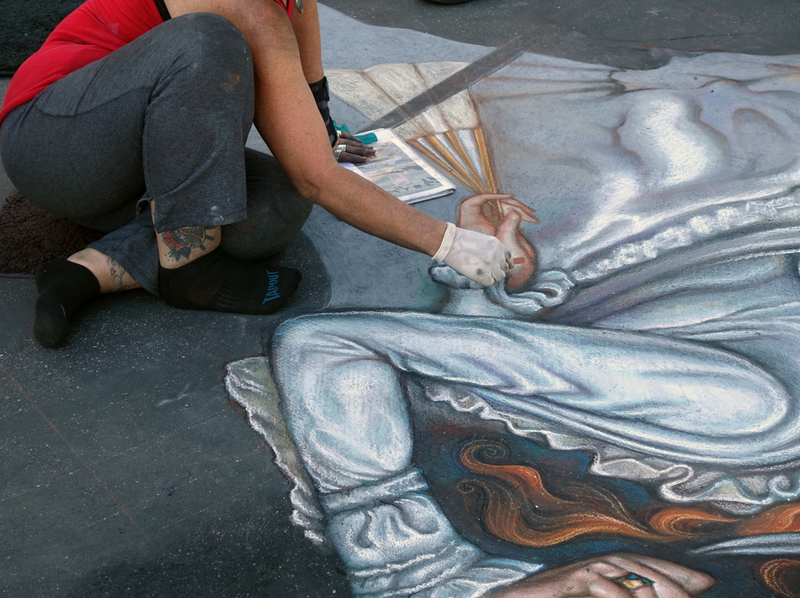 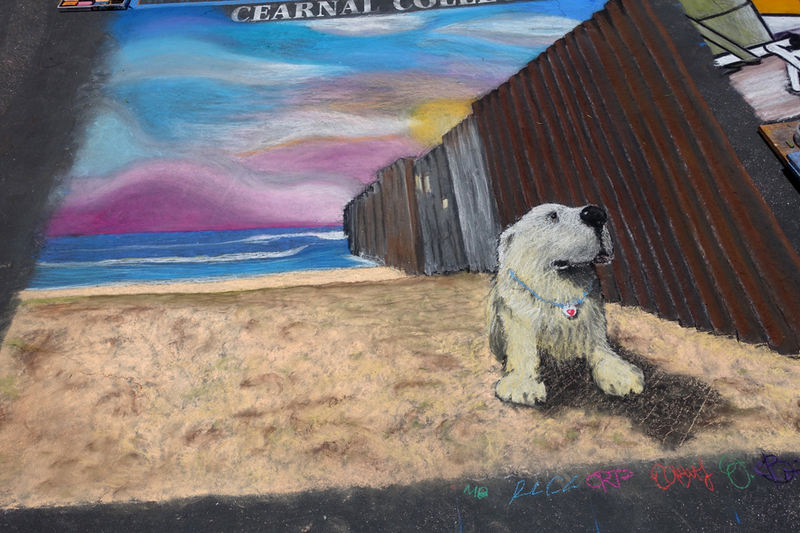 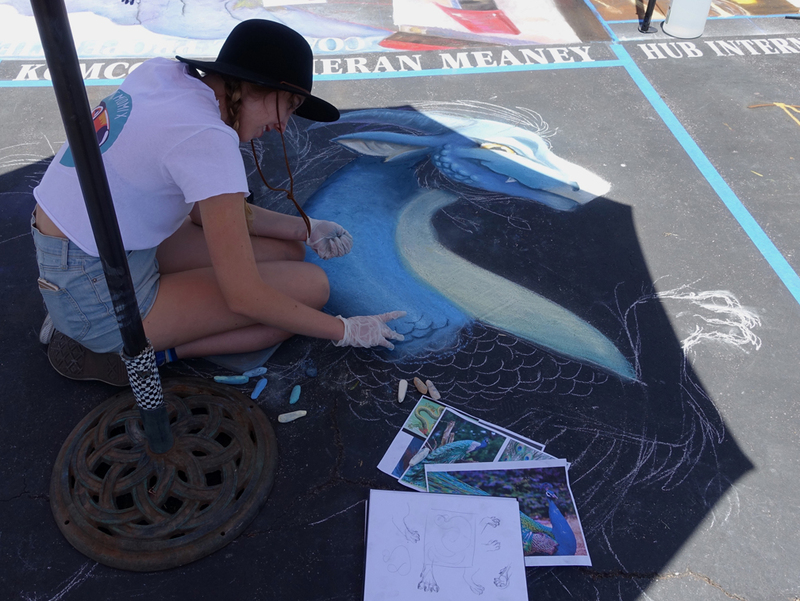 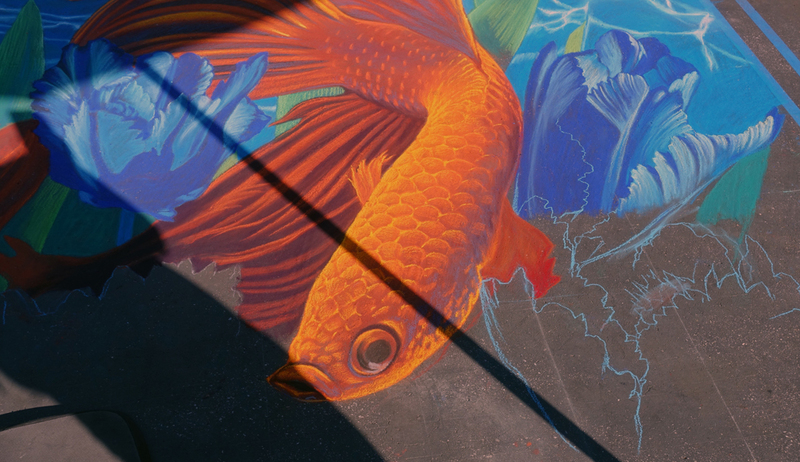 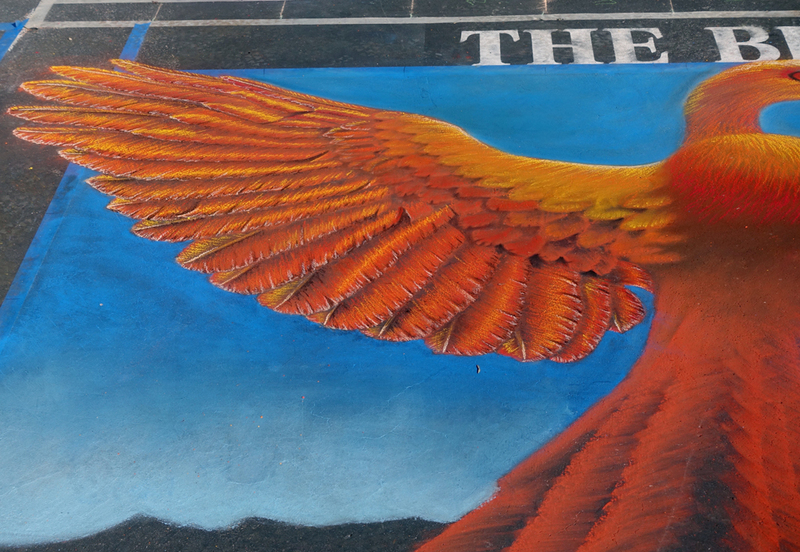 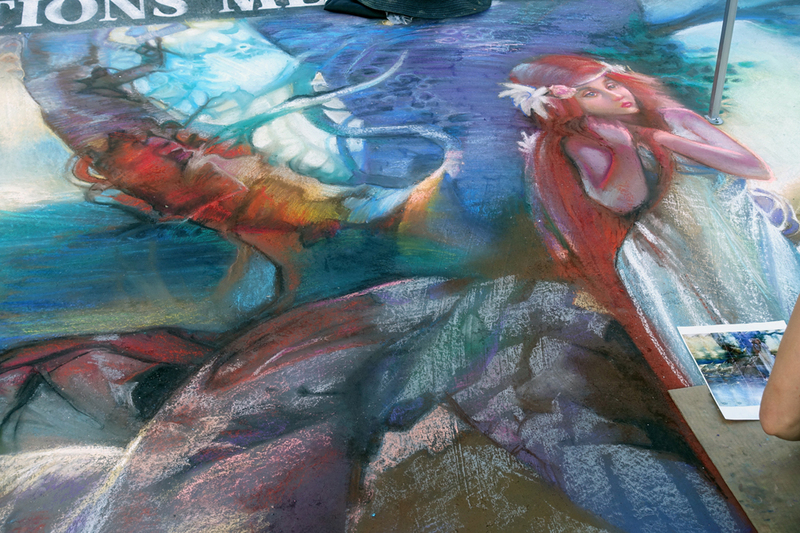 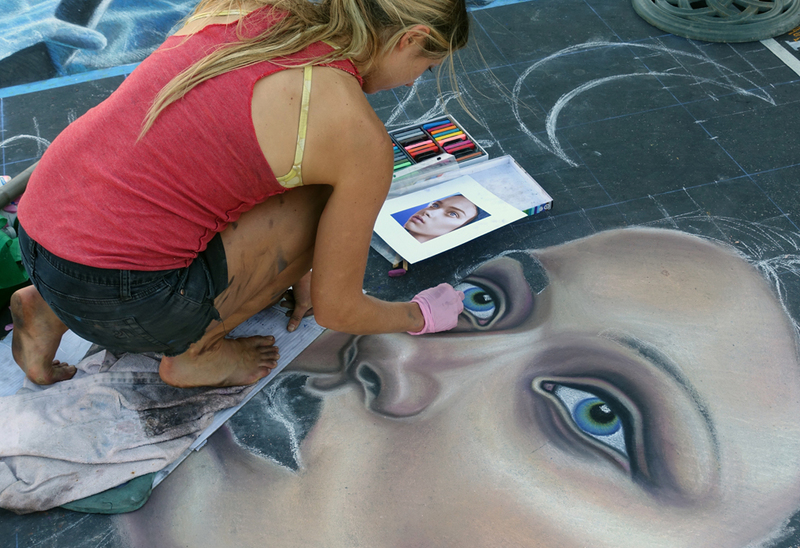 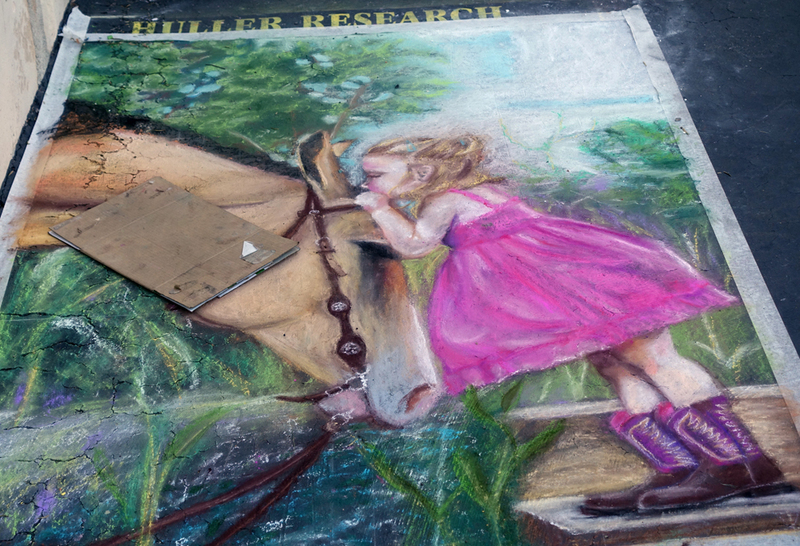 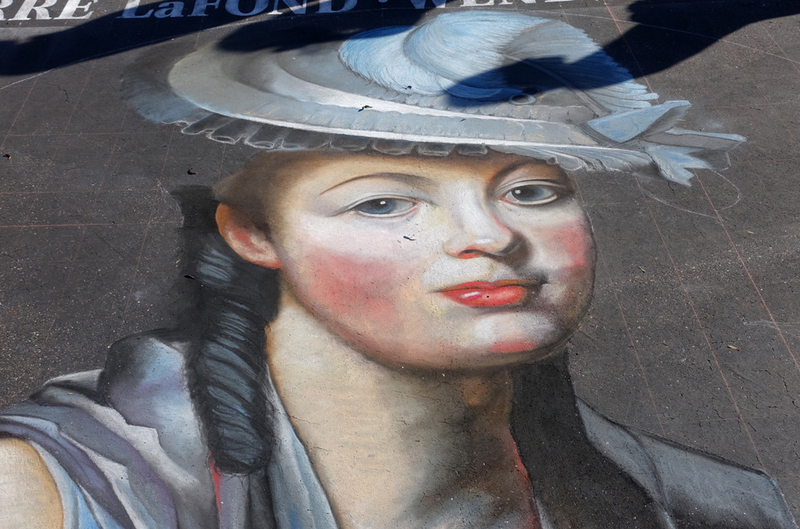 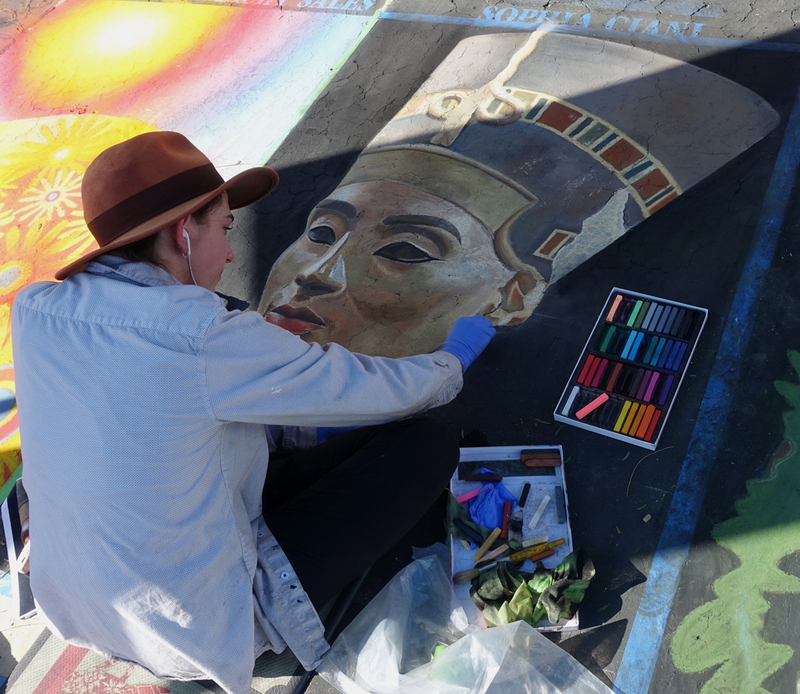 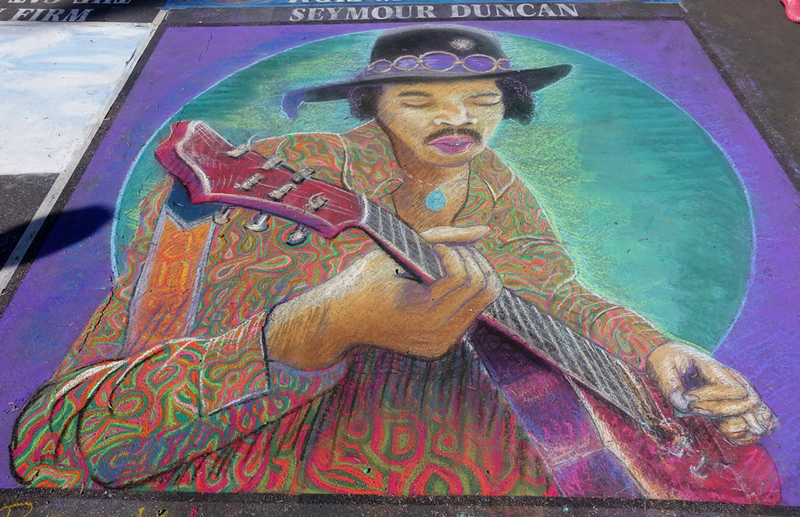 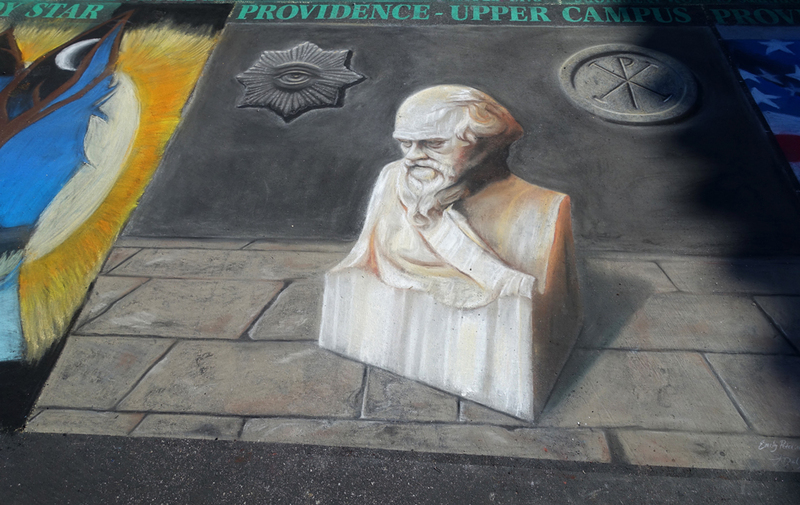 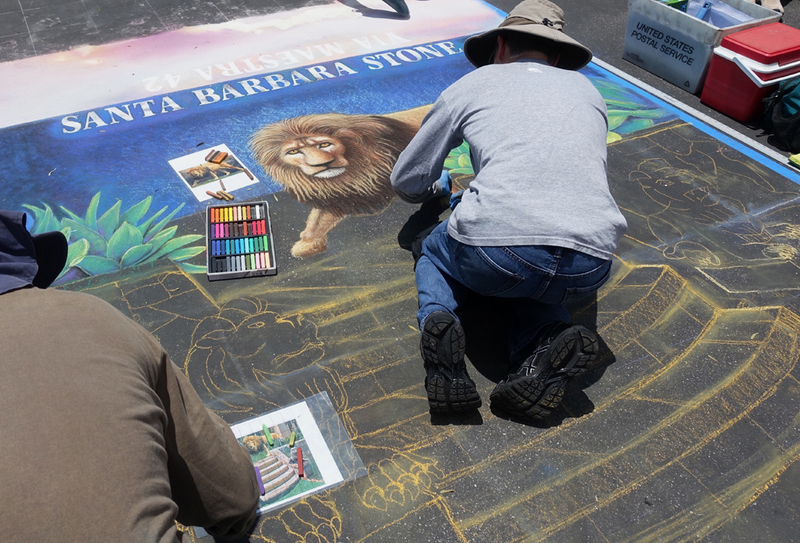 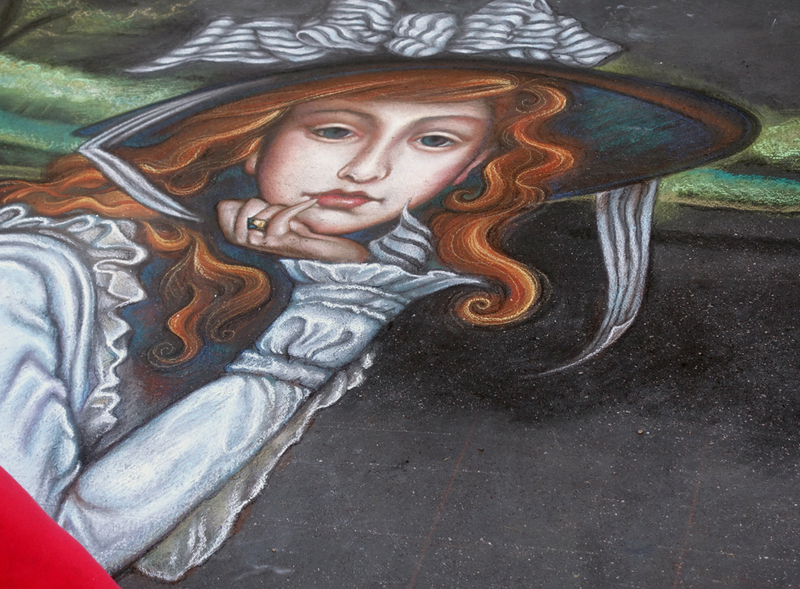 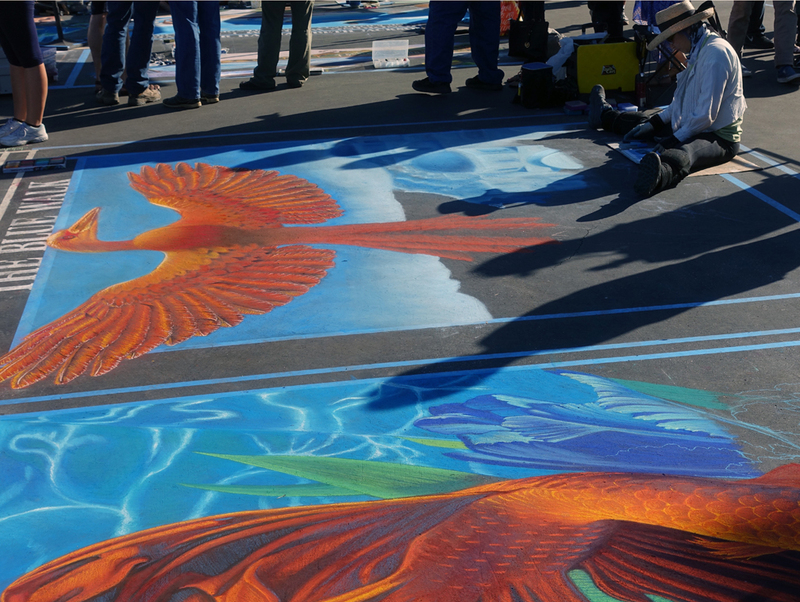 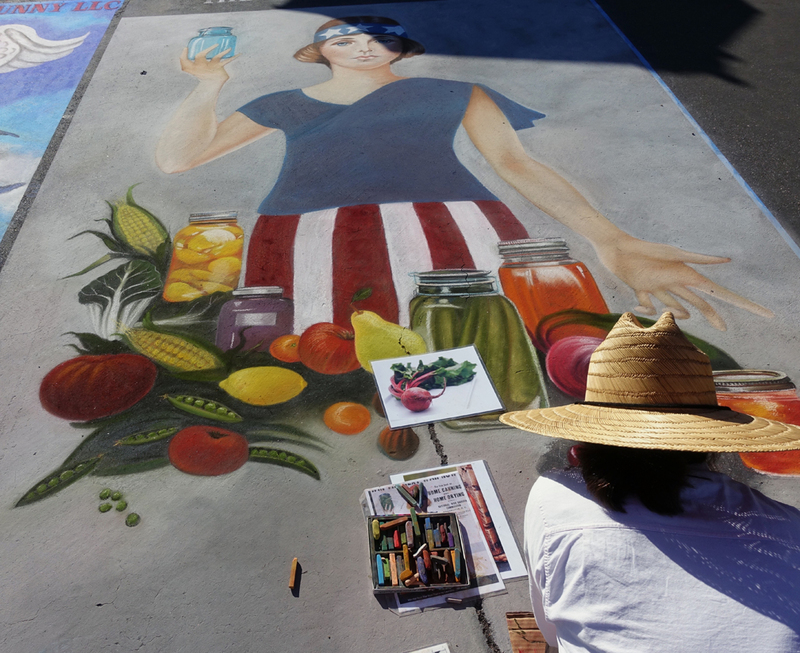 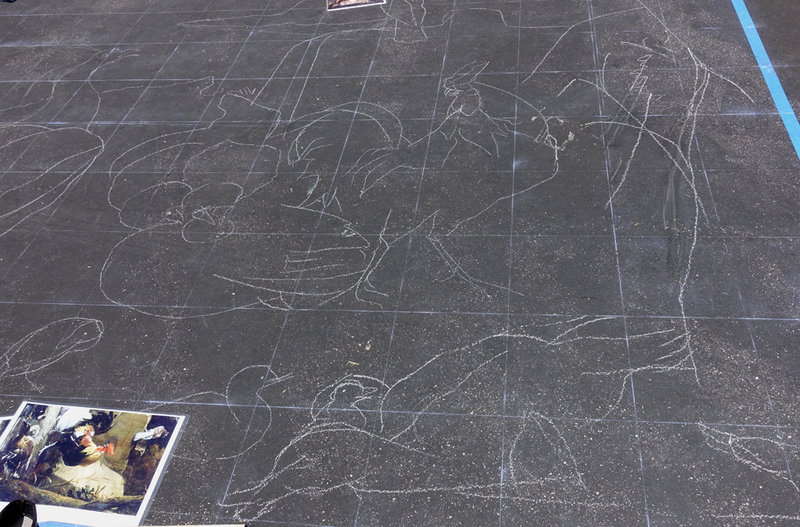 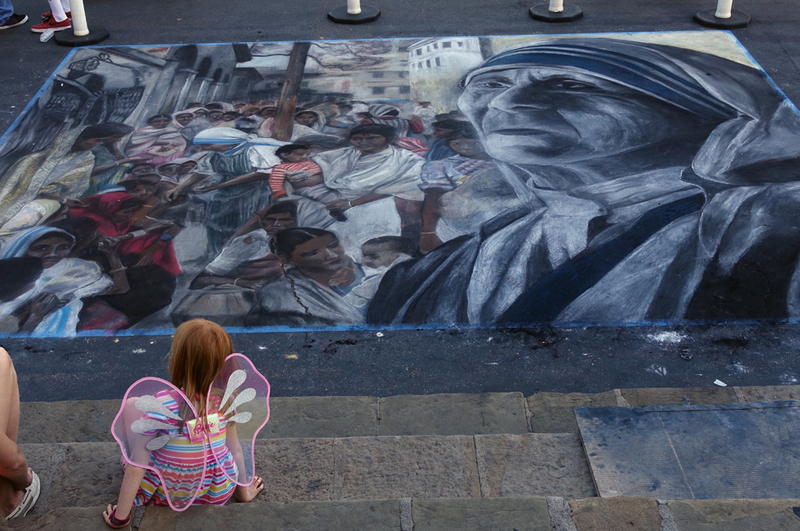 The 2017 I Madonnari Italian Street Painting Festival was held this past weekend. 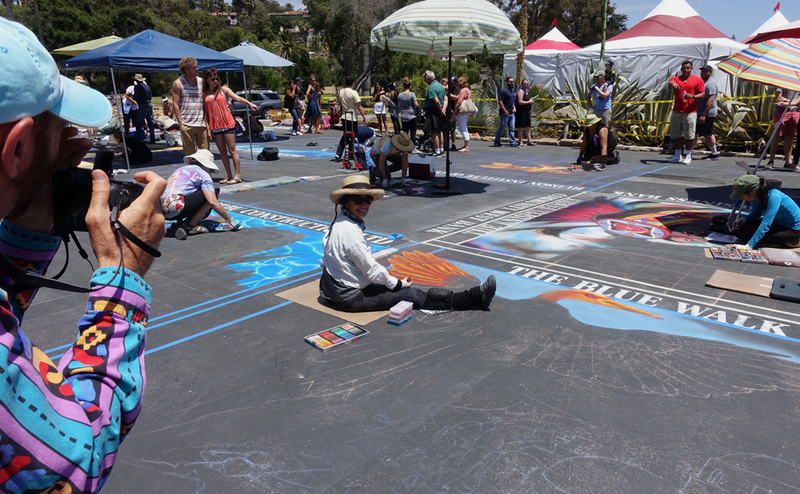 I was a participating artist in twenty-five of these events, but between knee and shoulder replacements I have retired…or transitioned to being part of the all-important audience. Camera in hand, I joined hundreds of others at the Santa Barbara Mission mid-day Saturday to catch the early stages of this marvelous event. 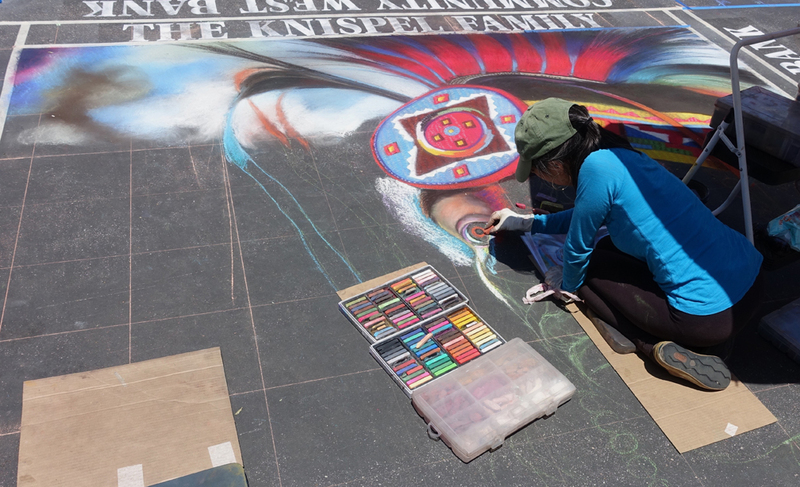 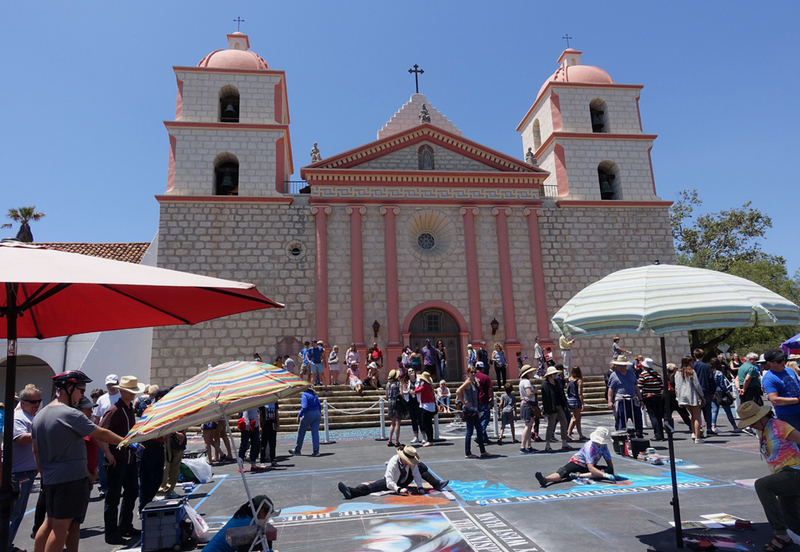 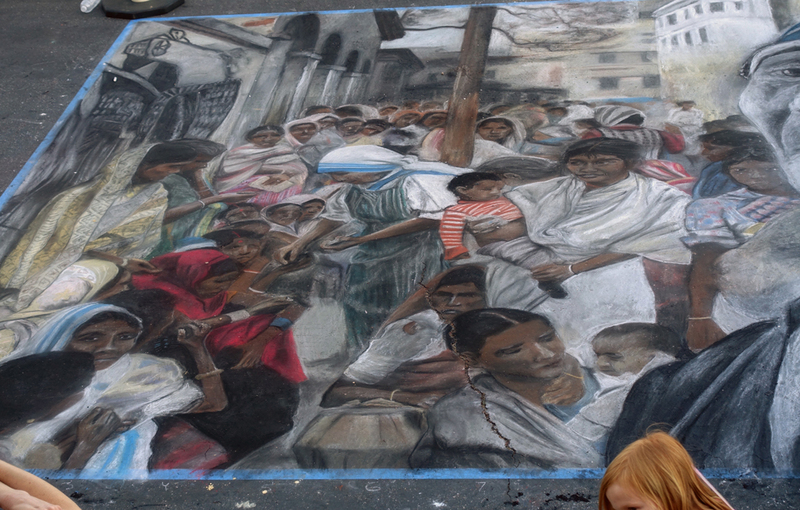 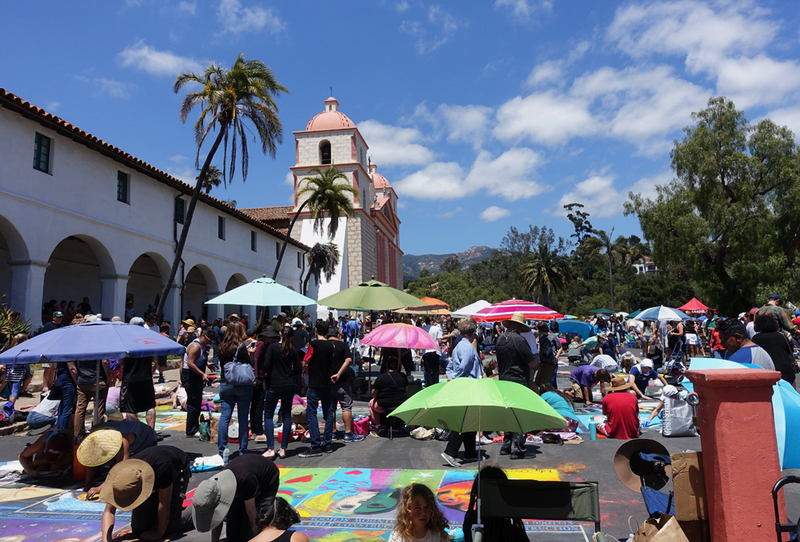 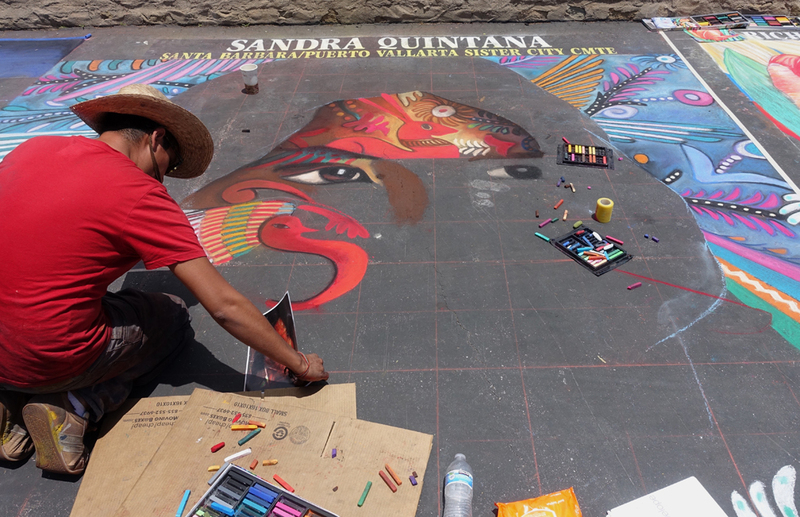 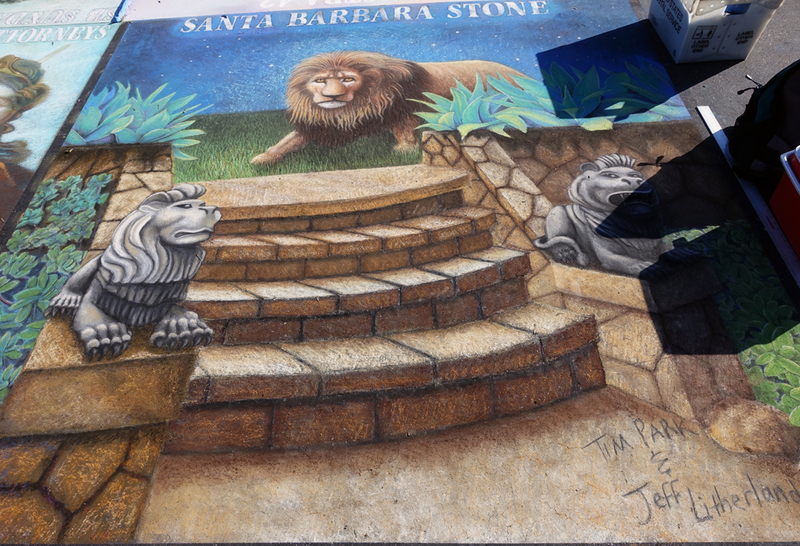 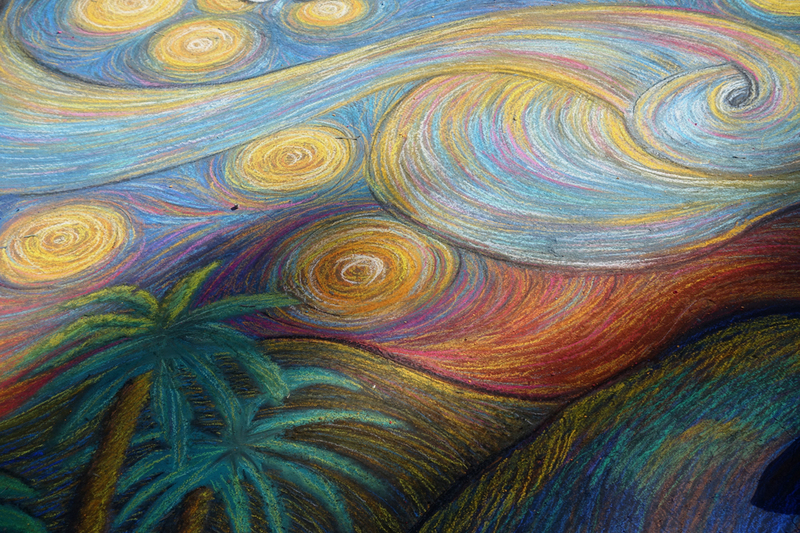 The Mission Santa Barbara, home of the I Madonnari Italian Street Painting Festival.